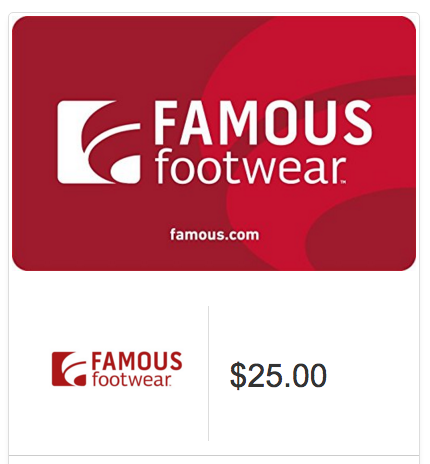 $25 Famous Footwear Gift Card Only $20! You are here: Home / Great Deals / Amazon Deals / $25 Famous Footwear Gift Card Only $20! If you still need a last minute gift head over to Amazon! Get a $25 Famous Footwear Gift Card for Only $20! Enter the code FFOOTWEAR at checkout to receive your discount!